I always use disk partitions for ZFS vdevs. For some data you may need x-way mirrors, the other – raidz2 or raidz. Hard drive speed varies at the start and end area as well. Even more – an “operator mistake” can ruin things – with just a single pool you get a total disaster, multiple pools = “things aren’t that bad”. 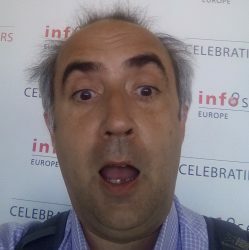 ZFS for root fs? not that good idea either, there were multiple cases when “something changed” and ZFS components went out of sync with “no way” to mount the pools. I prefer multiple independent hard drives; should anything happen – it’s easy to swap the 2 drives and get a bootable environment again. newsyslog with size limits is your friend for “logs overflowing FS” (2 entries for each log – time and size in newsyslog.conf). ZFS is good in compressing logs on the fly as well – lz4 gives minimal overhead. Next PostNext Am I being phished?